Aw Shucks! The Ankobra Has Turned turgid” Again? “Locals report that illegal miners have resumed operations, due to the halt in monitoring of the IMCM [Inter-Ministerial Committee on Illegal mining]. 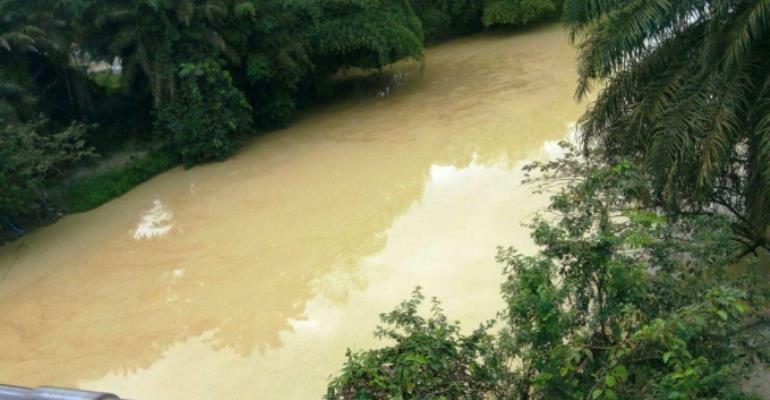 The Ankobra River in the Ellembelle District of the Western Region, which recently regained its natural ecology as a result of the hard work by the Inter-Ministerial Committee on Illegal Mining (IMCIM) is getting turgid again. “The river [was,] until the work of IMCIM, heavily polluted by the activities of illegal small-scale miners…The Ankobra plays a critical role in the lives of residents living along [its] banks. However due to … illegal small- scale mining, the River has lost all its significance. The Minister for Environment, Science and Technology, Professor Frimpong-Boateng, had said that [the] Government [would] need US400 million dollars to restore it. However, a series of efforts, including the setting up of the Inter-Ministerial Committee on Illegal Mining, were able to push back the illegal miners. Now, it is not for me to lecture Anas on the responsibilities that devolve around an investigative journalist. All I can do is to remind him that we need to weigh our objectives against hard realities. We are forced by circumstances to make choices. Our judgement, if not our conscience, can be called into question if we end up destroying what is in the public interest, instead of enhancing it. Are we to tell the fishermen who believe that the galamseyers have “taken advantage of the disarray at IMCIM to wreak havoc” that their perception is wrong, or that they are being unfair to Anas? They are entitled to their conclusion; just as Anas was in deciding to target IMICIM’s personnel. The reverting of the Ankobra back to its “turgid”, brown, state is an inescapable fact. And inevitably, it will be the yardstick against which that particular investigation by Anas will be evaluated. Certainly, Anas has given cause to the state agencies that were reluctant to enforce the anti-galamsey laws, which seriously resennted the establishment of IMCIM, much cause to celebrtate. MEANWHILE, quite a few people have taken me to task, on Ghanaweb, wqith regard to my article expressing disquiet at the Government’s decision to ban the importation of excavators into Ghana from 1 May 2019. If the immutable economic laws of supply and demand spring into action, road and house-builders as well as those engaged in constructing clinics and schools, could face high inflation in the cost of the equipment they need to purchase – or hire -- for their work. I recalled that in the past, whenever shortages had occurred in sectors of the Ghanaian economy (because import licensing, for instance, had been introduced to conserve foreign exchange) kalabuletraders had jumped in to carry out hoardingand other nefarious trading practices that had harmed the economy. The kalabule practitioners usually made a killing and we cannot close our eyes to this aspect of our economic history. QUOTE: “Mr Duodu is asking whether the banning of excavators is the best way of stopping excavators from getting to galamsey fields. He has given reasons why banning them may not be the best idea, because of the unexpected consequences on the economy generally. “If excavators are being smuggled to the galamsey fields, because the police and various Task Forces cannot STOP them, we have to find the answer. If they [excavators] cannot be stopped because of CORRUPTION, why not stop the corruption? Another commenter, NANCY AMA, pointed out: QUOTE: “GHANAIANS LIKE TO BAN THINGS TOO MUCH! Whenever local industries produce [unsold] shoddy goods, they get govt to introduce import licence which brings about smuggling and INFLATION!